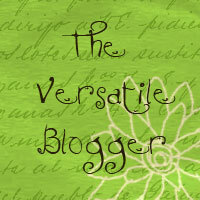 I was doing so well, blogging several times a week, even signing up for different blogfests. So what happened? Why, that’s an excellent idea for a post, don’t you think? After conquering the Gallbladder of Doom and the subsequent viral infection (never attend a 3 year old’s birthday party that soon after surgery no matter how much you adore her mother), I went back to work. Upon my return, I discovered my team, which had been the top team in the nation for several months, had dropped to 4th place in my absence. Heads rolled Discussions were had. While my goal is to be a stay-at-home writer, I actually enjoy my day job. I consider it a career and one I am happy with. That being said, I am exhausted. Herding cats Managing people is much more taxing than sitting around resting after surgery. 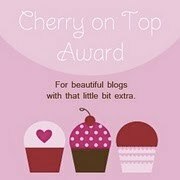 It only took me 6 entries to get to my excuse for not blogging? I must be slipping. Several days ago was our annual Site Employee Appreciation BBQ, cause nothing says you’re doing a good job like hot dogs, hamburgers and sitting under a tent in over 100 degree heat. We weren’t allowed to bring the customary dunk tank on site this year. And there was SERIOUS rejoicing at this. I, myself, have never been subjected to the dunk tank, but the horror stories I heard from my fellow managers was enough to make me shudder. Did you know they don’t wash out the inside of those things. Let’s not forget the fact that the water they would have used on site is reclaimed water. I avoid getting hit with sprinkler mist, let alone agreeing to be immersed in said water. They decided to do water balloons instead. Luckily, my team didn’t enter me in due to having to pay a $25 entry fee (proceeds went to charity). There I am, in my office after having served hamburgers and sodas for over 2 hours at the BBQ, attempting to cool off when one of my employees comes in and tells me they finally scraped together the money. They were afraid I’d think they didn’t love me. No problem, I could do that for them. After all, they have a hard job and having fun, especially being able to throw things at their manager, is something I encourage. Seriously, we have an 8 month-long ketchup packet war. Then I saw who was all coming out with money to throw them at me. Since I was the last manager of the day for this event, the organizers gave my tormentors team the rest of the water balloons to throw. An entire kiddie pool FILLED with water balloons. Remember the RECLAIMED water? Yeah. I was actually doing okay once the throwing commenced–we used to do this as a contest prize when I was in the sales department–until one of my former sales employees (now a manager-in-training) hit me with one. Right. Where. My. Gallbladder. Used. To. Be. Wrapping an arm around my abdomen, I asked for a moment. No mercy was shown. Well, except by the one who hit me with the water balloon there and noticed what he had just done. He was still apologizing to me the next day. When the pool was finally empty and I was DRENCHED, it was time to get down to the fun stuff…putting a pie in the face of another manager for losing a contest to my team. I looked around for my agent who got to do the honors and didn’t see him anywhere. As I was asking where he was, another one of my employees spotted him. With a bucket of ice water. Did I mention I was drenched? Now I am soaked. Even my shoes were sopping wet. So, the pie was set up and put in my peer’s face. I was laughing too hard to pay attention. He retaliated. I should have known. In fact, I DID know, but I refer you back to the laughing part. And being doused in ice water. I wasn’t on my game. So now I’m dripping wet and covered in Redi Whip. Something which I now do not want to EVER smell again. Remind me of that come Thanksgiving. You’d better believe I went home and changed. The important thing is my team had fun…and we captured the pie in the face on video. For the security of all involved, I won’t post it on here, but trust me, it’s funny. And I appreciate that my team went all out to ensure it wasn’t ME getting the pie in my face–even if I wound up with the stuff smeared in my hair anyways. Speaking of hair, my roommate and I cleaned out the drain of our shower today. We both have long hair. She now knows what instantly triggers my gag reflex. Next time, I’m just buying some Drano. As of now, I’m attempting to recover from zombie brain and get back into writing. 100 words today isn’t going to cut it, so I’m going to bed. Right after my heart stops pounding from the shots fired right outside my house. Just now.